Yesterday, E and B went to a free summer launch party event run by Exeter City Football in the Community (ECFITC). The day wasn't just about football - it was about all sorts of sports including, rugby, golf, dodgeball, cricket, rounders and table tennis. 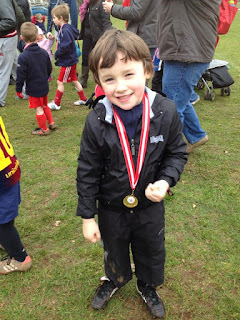 E has been attending Exeter City's Tiny Tots, which is also run by ECFITC, on a Saturday morning since he was four years old. And, since turning five, he often attends their school holiday sessions, which are held in Exeter, and more conveniently, in our home town too. However, this was B's first time at a sporty holiday club. And she loved it! 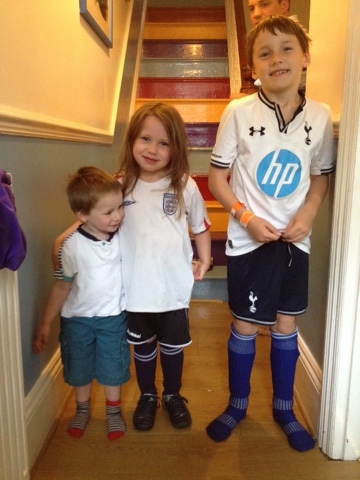 In the morning, E brought B into his room and lent her one of his football shirts, a pair of his football shorts and a pair of his football socks. 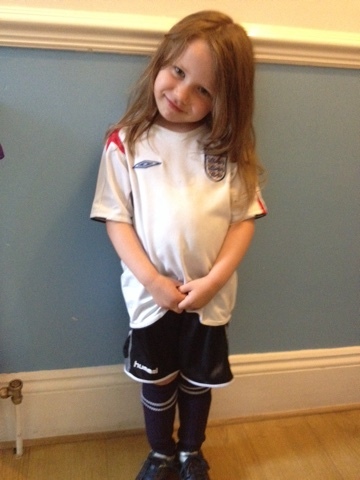 I did suggest that B wore her PE shorts, but apparently she needed 'proper football ones'. Mr B then went up to the loft and dug out E's first pair of football astroturf boots and shin pads. B really looked the part and was so excited to finally being able to join her big brother in some sporty holiday fun. 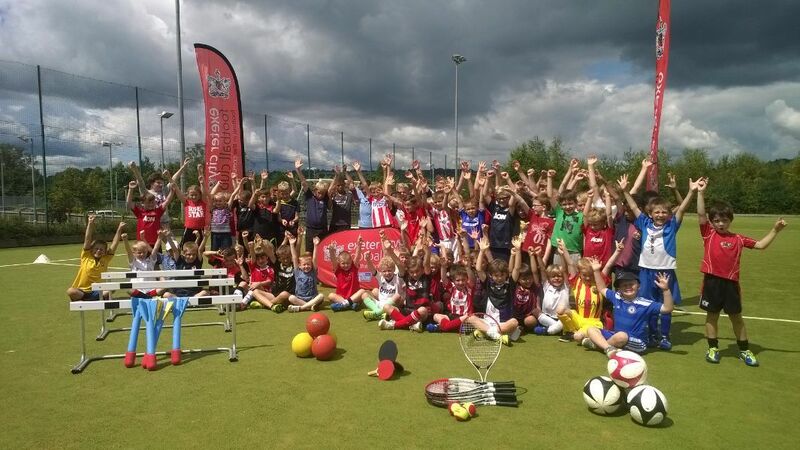 I'd really recommend looking up your local football team's community courses. The coaches are really enthusiastic and professional and the equipment they have is amazing. It's a great way to introduce sport and physical activity to your children. It's also an inexpensive way to entertain your kids in the school holidays and get a few hours to yourself. W can't wait until he's old enough to join in the fun. What activities are your children taking part in this summer?